People have been using homeless applications to get social housing in Milton Keynes but now the council wants to change all that. In what would be the biggest change in the council’s policies since 2007, Milton Keynes Council is proposing to introduce a housing register where available homes would be allocated to people who respond to updated lists of properties. Councillors were presented with a report that stated people are incentivised to use homeless applications “as a route to social housing” and that this results in “increasing pressures in temporary accommodation costs. If the new Housing Allocations Policy is adopted later this year it would not mean that urgent cases of street dwelling cannot be dealt with. But it would mean that people who have the “greatest need” would be given social housing. Ellie Nickless, the council’s head of homelessness prevention, said the council would be bringing in additional resources to support the introduction of the new system. Responding to concerns that an online system would exclude people with limited or no computer skills, as well as blocking computer terminals in local libraries, Ellie Nickless said council officers would be able to visit people in their homes to check their applications. She added that vulnerable people would be set up on the system to enable them to “autobid” for suitable properties. A Choice Based Lettings system would involve people on the housing register making bids for properties. 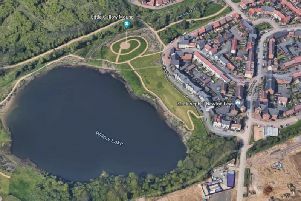 After a period of time, the chance to bid would stop, and all the applications would be considered against the council’s new criteria of needs before the keys are handed over. Top of a long list of assessments of need are applicants who need to move urgently because of a critical medical or welfare need, a serious medical or welfare need. To get on the list, people will need to have been resident in MK for at least three years, with some limited exceptions. The council currently has around 11,000 tenants and an assessment of those currently registered under the council’s current Housing Options and Allocation Scheme, states on March 7 there were 1,949 households awaiting housing in the city.